This weeks DIRTY MIND MIX is from British DJ & Producer duo The Shapeshifters. Purveyors of the finest house music and all round party people, The Shapeshifters have been at the forefront of dance music since 2003. At this time, both of the guys had reached a musical crossroads and wanted to do things on their own terms. They decided to go into the studio together and see what came out: the result was ‘Lola’s Theme’. 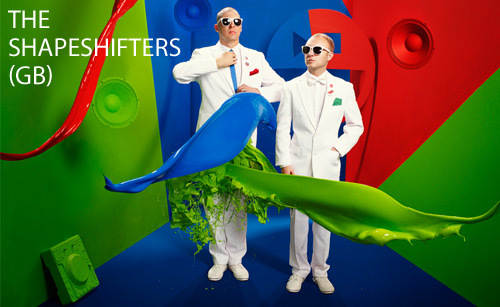 It went on to become a major worldwide hit and set the stage for The Shapeshifters. ‘Lola’s Theme’ also set the precedent for the way the guys work in the studio: let the music come together naturally and forget about genres. Simon’s roots are in funk and soul, while Max comes from a techno background and it’s this fusion that makes The Shapeshifters sound so dynamic and exciting. In 2006 it was time for a new musical focus in a period when the music industry itself was going through momentous changes and major labels losing interest in house. Up stepped Defected and the perfect alliance was formed with one of the leading independent house labels.